It’s often to our advantage that we make the best out of the fruits in season. Tiger nuts don’t come to our thoughts when we think about fruits in season. We mostly consider apples, oranges, bananas etc when we want to consume fruits. Little did people know about the benefits tiger nuts. 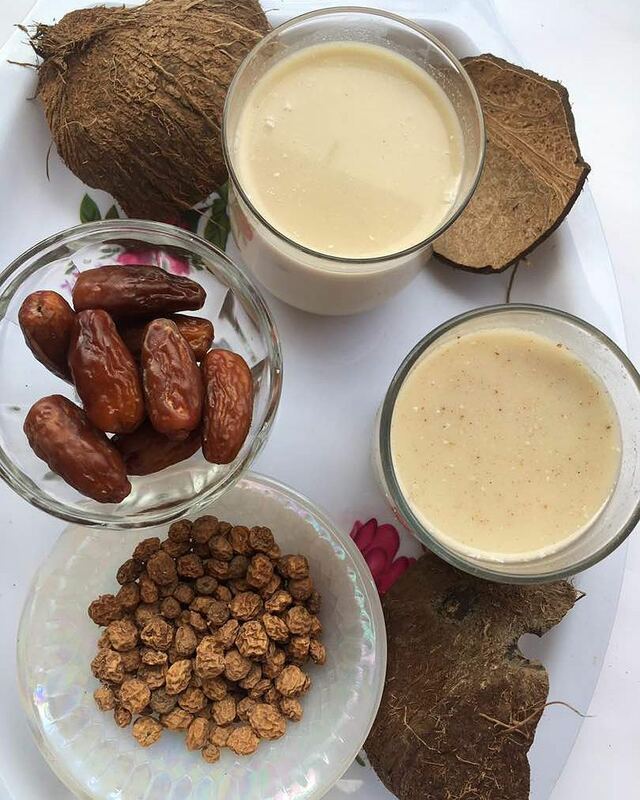 For this special homemade tiger nut drink, we are adding dates and ginger to the recipe! Gingers are optional if you are allergic to it. The function of a date here is to sweeten the drink. Wash the tiger nuts and put in a clean bowl. Wash dates and remove the seed. Put in a clean bowl and soak separately. Soak until the fruits are soft enough to blend. Wash ginger and peel the bark. Blend altogether (the dates, the tiger nut, coconut and ginger). Sieve the puree and separate the chaff from the real juice. Benefitscoconut drinkdates drinkfoodginger drinkHealthHow tokmadoraLifestyletigernutsVickie O. #OnBecoming33 Toke Makinwa Celebrates Her Birthday, Marks One Year Anniversary Of Her Book & Launches Her Leather Bag Collection!